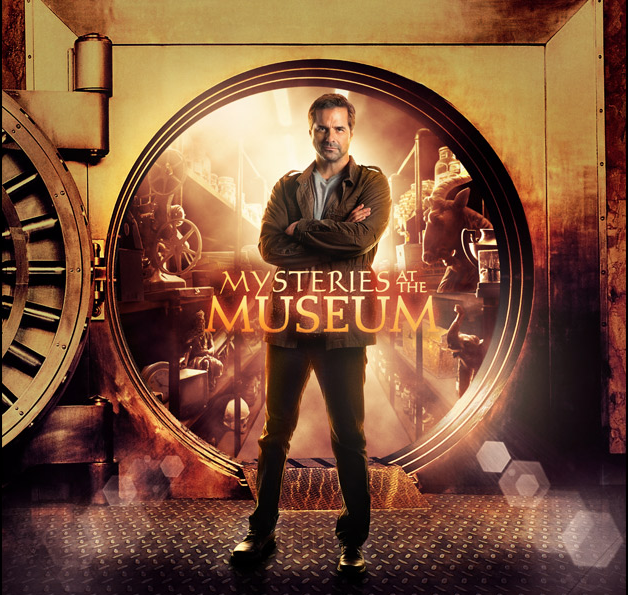 Previously addicted to MatM COLLECTION 1, I've currently become addicted to MYSTERIES AT THE MUSEUM: COLLECTION 2 (now streaming on Netflix)––which I highly recommend––and while binge-watching said collection found myself deep into Episode 18, a portion of which elaborates on the somewhat bizarre instrument invented by Benjamin Franklin called the Glass Armonica. "Armonica" being the Italian word for "harmony". 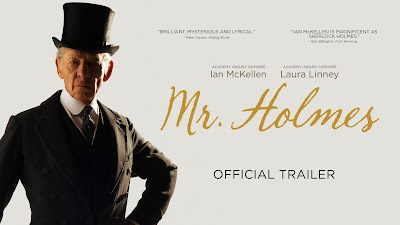 At any rate, I first became aware of the Glass Armonica in the magical film MR. HOLMES, starring the always outstanding Ian McKellen as the super sleuth––and in this film, quite elderly––Sherlock Holmes. 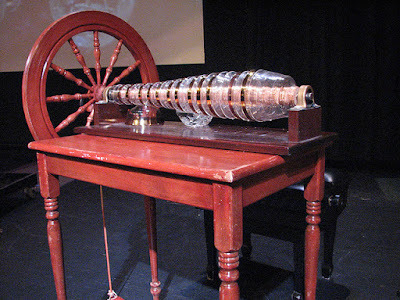 Most certainly check out the film (based on the book A SLIGHT TRICK OF THE MIND by Mitch Cullin) and look for the Glass Armonica, which plays into the mystery unfolding, although quite subtly. 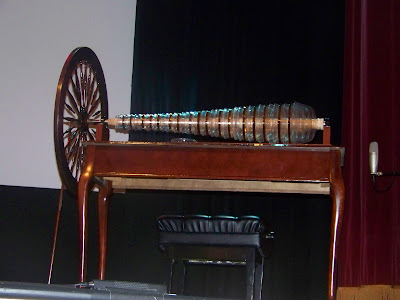 But if you don't, here's some great info about how good ol' Ben came to invent the instrument, which even Mozart wrote music for. Interesting to think those two where hanging around Europe at the same time. 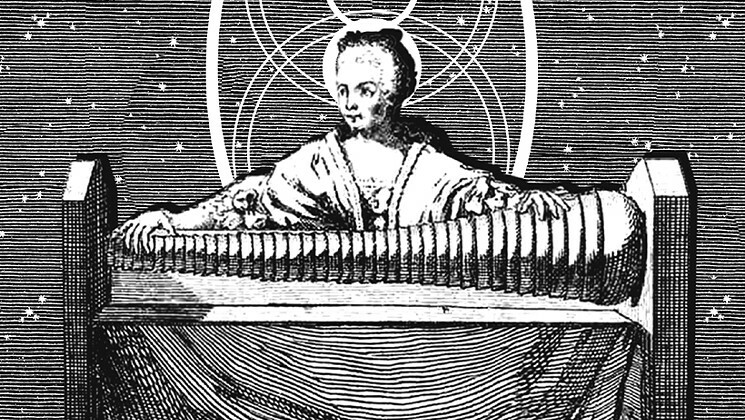 Now that's a small world! 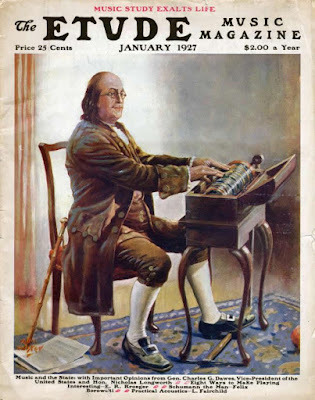 "Of Benjamin Franklin's many achievements, probably the least well-known are his accomplishments in music. 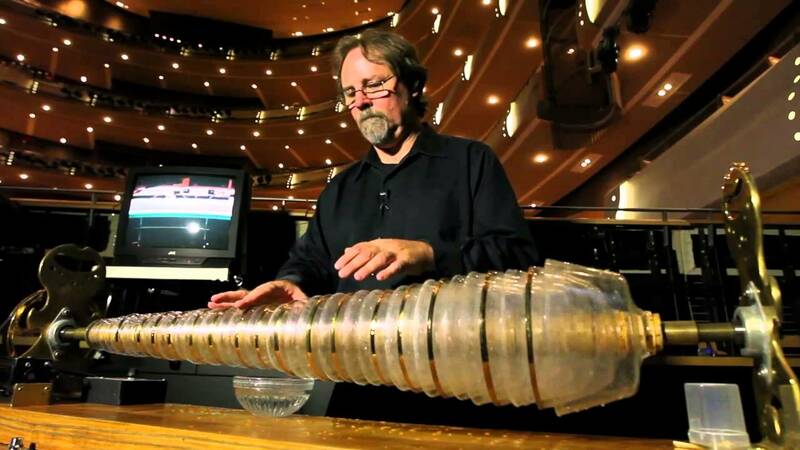 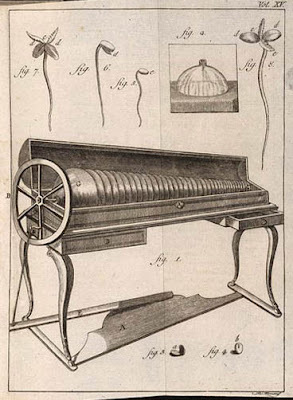 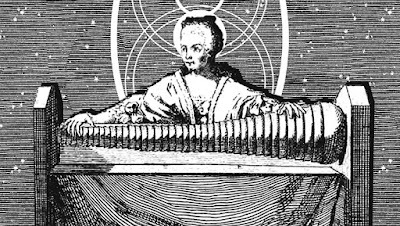 Not only did Franklin play viola da gamba and compose music, he also invented an instrument for which both Mozart and Beethoven composed music—the armonica, also known as the glass armonica or glass harmonica. "Franklin was charmed by the music, but felt that there was a better way to create the same sound. 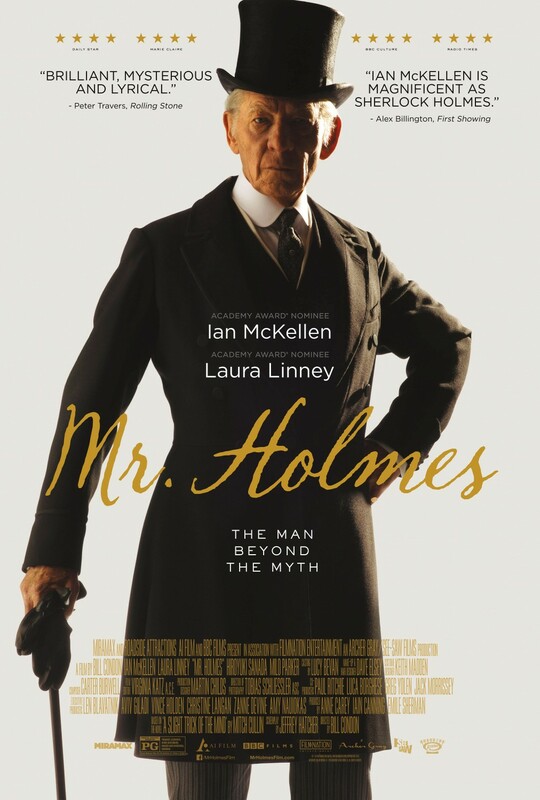 He had a glassmaker create thirty-seven hemispheres made of glass, with each hemisphere being a different size and thickness to produce different pitches..."
And once more, check out the film MR. HOLMES, starring Ian McKlellen.